There's no better way to get people to listen than by lying down in front of their bacon and eggs. 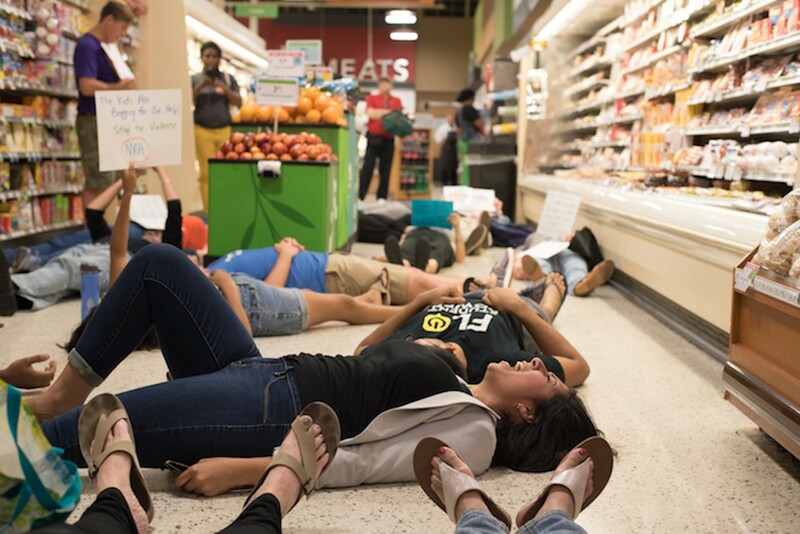 After reports revealed Publix gave an unprecedented amount of contributions to self-described "proud NRA sellout" Adam Putnam in his bid for Florida governor, survivors of the Parkland high school mass shooting called for die-ins at Publix stores, including in Orlando, where about 15 people staged a die-in at a Publix in Colonialtown. Although the protests were met with derision and hostility by some "shoppers" (or maybe they just really needed to get to that bacon), the grocery chain later decided to suspend all future political contributions.